Always wanted to meet the president of the United States in person? Here is your chance – ‘cause We Go Again! At this year’s trade show in Hannover you’ll get ‘em all! Ilmsens will be represented at the Young Tech Enterprises area in hall 3 where we have the opportunity to showcase our company due to the great support from STIFT Thuringia (great Thanks to you!). We will be at the booth on Monday 25th April – the same day the current president of the United States, Barack Obama, will also be in Hall 3 to give his speech for the opening ceremony. Federal Chancellor Angela Merkel will also be visiting the exhibition (including hall 3) on the same day. Isn’t that the best opportunity to get some refreshments and have a chat with us?! But be fast – maybe you’ll find us already drinking some coffee with two of the most powerful people in the world! 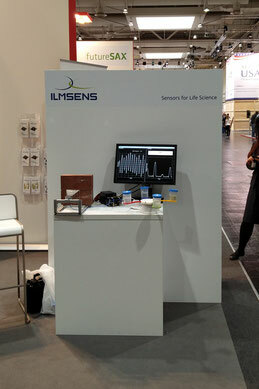 See you at Hannover Messe! The Hannover fair is the most significant and biggest industrial goods fair worldwide. With more than 5.000 exhibitors from 60 countries and 200.000 visitors from more than 100 countries every year it’s focal point is to highlight the field of industrial automation, energy and environmental technologies, industrial supply and Science and evolution. Dated from the 25th to 29th April 2016 this year’s opening ceremony is held by a speech from the current president of the United States, Barack Obama.